The State Porcelain factory in St. Petersburg, Russia, was established in 1744 by Empress Elizabeth, daughter of Peter the Great. 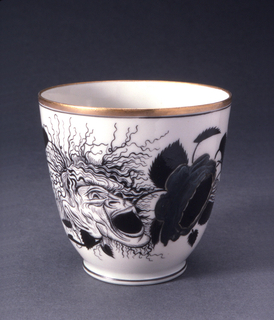 It was the first porcelain works in Russia. 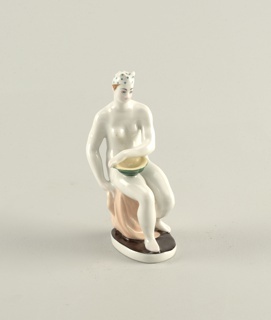 Originally known as the Neva Porcelain Manufactory, it became known as the Imperial Porcelain Manufactory in 1765 under Catherine the Great. 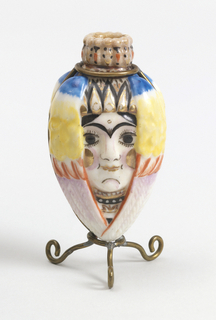 Russian porcelain was meant to glorify the Emperor or Empress and convey national ideas and attitudes. 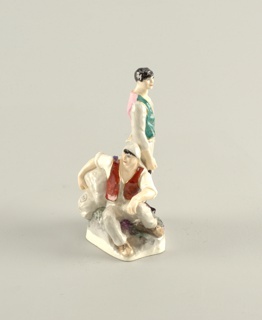 In 1918 after the Russian Revolution, the Imperial Porcelain manufactory was nationalized and renamed the State Porcelain Manufactory. 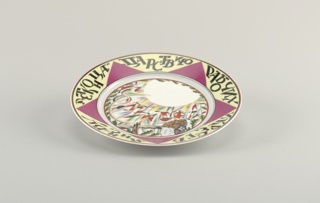 During this period, the factory produced propaganda porcelain for the Soviet Union. 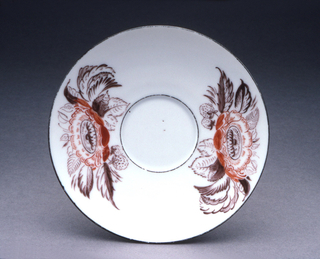 We have 51 objects that State Porcelain Factory has been involved with.